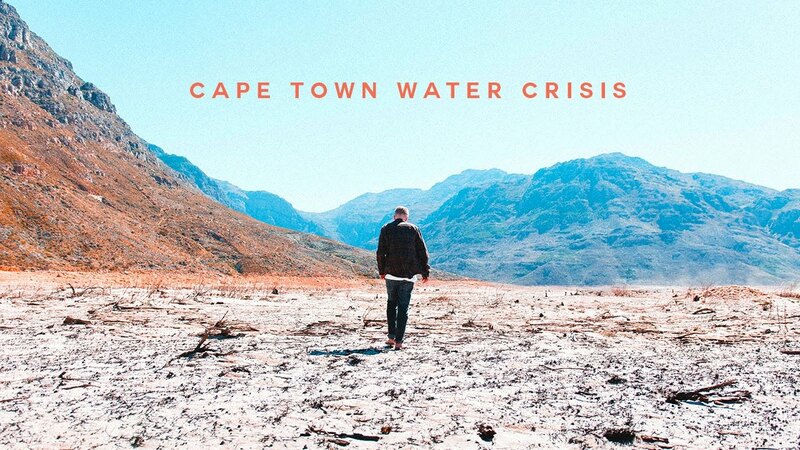 The Big Wobble: "Day Zero" April 29, 2018 is the day Cape Town population 3.75 million becomes the first major city in the world to run out of drinking water! "Day Zero" April 29, 2018 is the day Cape Town population 3.75 million becomes the first major city in the world to run out of drinking water! At the current rate of consumption, officials warn April 29, 2018, will become Day Zero, the day the city’s taps will be turned off, becoming the first major city in the world to run out of water. On January the 1st 2018 residents of South Africa's bustling city of Cape Town, home of nearly 4 million people celebrated the start of a new year with stringent new water regulations. 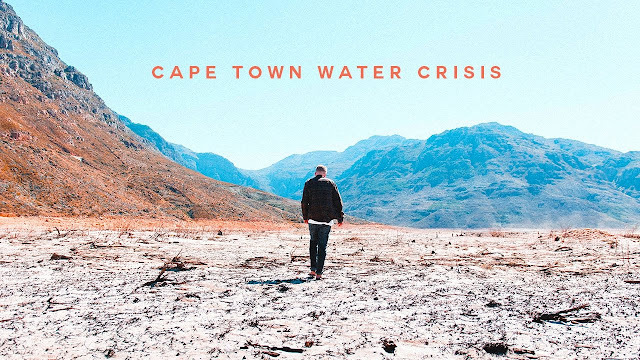 The Level 6 restrictions came into effect to combat an unprecedented drought which threatens to make Cape Town the first major city devoid of water. Poor management and planning have brought on Cape water crisis according to some. As much as climate change has most certainly brought in a huge negative effect, poor water management and lack of planning have played a large role too. For the past seven years, a huge increase in the volumes of tourists visiting Cape Town has also affected the decrease in water, according to officials. According to Reuters, 2018 will see agricultural water to be reduced by 60 percent and commercial use by 45 percent, compared to pre-drought allocations. The drought and water stress across most of South Africa follows a strong El Niño in 2015 and 2016. The weather pattern — characterized by warmer-than-normal ocean water in the equatorial Pacific — resulted in extreme heat and spells of dry weather. At the current rate of consumption, officials warn April 29, 2018, will become Day Zero, the day the city’s taps will be turned off. “The city of Cape Town could conceivably become the first major city in the world to run out of water, and that could happen in the next four months,” Dr. Anthony Turton, a professor at the Centre for Environmental Management at the University of the Free State, told the New York Times. “It’s not an impending crisis — we’re deep, deep, deep in crisis,” he said. Dam storage levels are at 31%, with usable water at 20%. The City of Cape Town's rationing intervention is starting to have an effect on consumption but water usage must be reduced further. Consumption is at 585-million litres of collective usage per day. The City activated water rationing as part of the implementation of its Critical Water Shortages Management Disaster Plan. This action intensifies the preceding months of pressure management which continues to be done in an attempt to force water consumption down to required levels. Due to the critical nature of available water supply, all water users across the metro must expect water rationing, which could lead to water supply disruptions. This is likely to result in water supply being disrupted during peak water usage times in the mornings (between 05:00 and 09:00) and in the evenings (between 17:00 and 21:00) if usage is above the required levels. It must be noted that theoretically everyone should have water but that the duration of the outages would depend on the water usage for the area and whether it is within the water restriction levels. They could buy giant floating water barge bladders and we can ship the excess water from Lake Okeechobee, FL instead of dumping into the oceans via Caloosahatchee River causing red tide. Kill 2 birds with one stone, problem solved. Start now times a wasting, for a fee to use for lake improvements. If the Communist run government that controls Cape Town would follow Kalifornia Governor Moonbeam Brown their problem would be solved. Simply fine each citizen and guest of Cape Town $500.00 each and every time they take an extended shower. Would this mean more water? Of course not. But it would mean tighter control and more money to line the pockets of the rulers. I thought they could cloud seed ,make rain make it sunny,snowy etc.Why aren`t they doing this? If I could control the weather while making the general public believe that it was an impossible feat, I would not only wield extraordinary power, but I could be very wealthy as well. "Buy when there's blood in the streets." The warloards have imposed droughts on any continent they want to topple and fall and plunder their petroleum resources. I can only imagine the land that changes tenancy. Must be a huge land grab too once the farmers cannot farm. Remember Monsanto patented alluminum resistant soy beans in 2012 I believe the year was. The fallout of nanoparticles is changing the soil ph. That is deadly for all terrestrial life. We all live off the top six inches more or less. Desalination like Israel and Saudi Arabia have used for many years. If Geoengineering where as prevalent as they would have us believe? I live in central Argentina. As of last year they are spraying us like bugs. From pictures I see of other places I would think it is world wide. Skies are permanently white, be it with or without clouds. Climate is drying up. Insects are disappearing. Where do you people live? No spraying there? Please let me know what that place is. South America is nailed. US Canada europe Russia China Middle East.. Where do you live? I live in Holland, beautiful clear blue sky yesterday, incredible crisp January day, sorry I don't agree, I see no evidence here of geoengineering, yeah, the weather is showing signs of change, slightly warmer winters, new years day here was the warmest ever, slightly wetter summers, spring arriving a couple of weeks early, autumn a couple of weeks later, no, no permanent white sky's here! I do watch the sky's here Cielos, being a blogger and I see NO evidence of spraying on a massive scale, maybe I'm wrong but until I have evidence I say not here! Saw dozens of pics people post from Holland 2016-17 in www.facebook.com/geoengineering.watch.photo.gallery. If you believe that is water vapor no need for further words.